Who doesn’t love the Christmas wrap? It’s the moment I savour when all the craziness of shopping is over and all that’s left to do is adorn the pressies. The new Nordic Noel paper goods range from award winning illustrator and surface pattern designer Binny Talib is perfect for your Christmas wrap session. 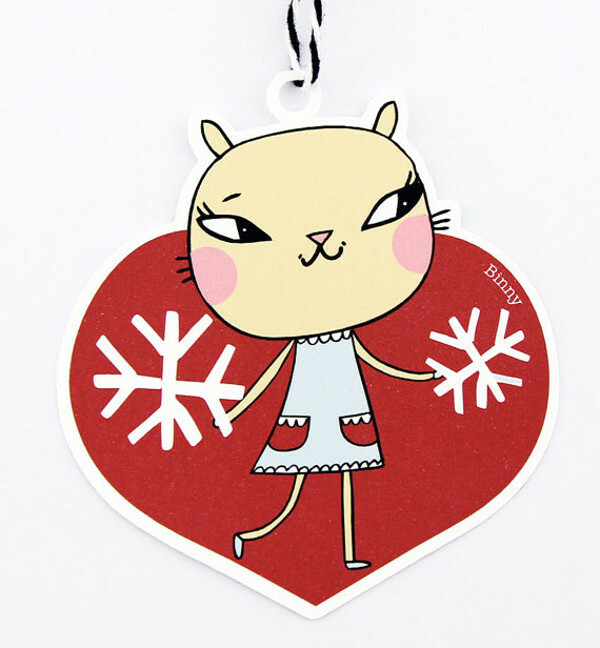 Including gift tags that double as tree decorations, the Nordic Noel collection is a sweet range of animal-inspired designs. There’s the cheeky Snow Deer, Mr Antler and Happy Katt. These cheery characters are drawn in a range of colours and are complimented by the more simple red and white colours of the heart, birds and Dala horse. These sweet designs are all printed and handmade by Binny on high quality matte card. 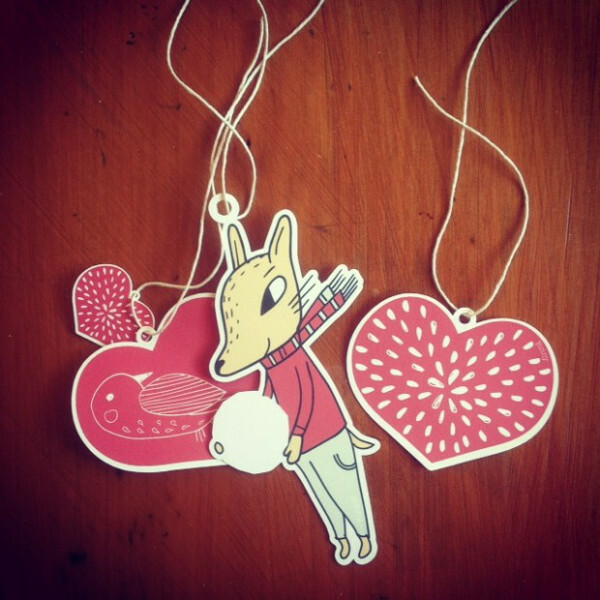 With a supply of these charming gift tags and tree decorations, your Christmas wrapping can’t go wrong. They are ideal for children’s presents, but also the icing on top of the cake for any adult present. Individual decorations cost $2.55 each and packs of six mixed designs cost $13.02. 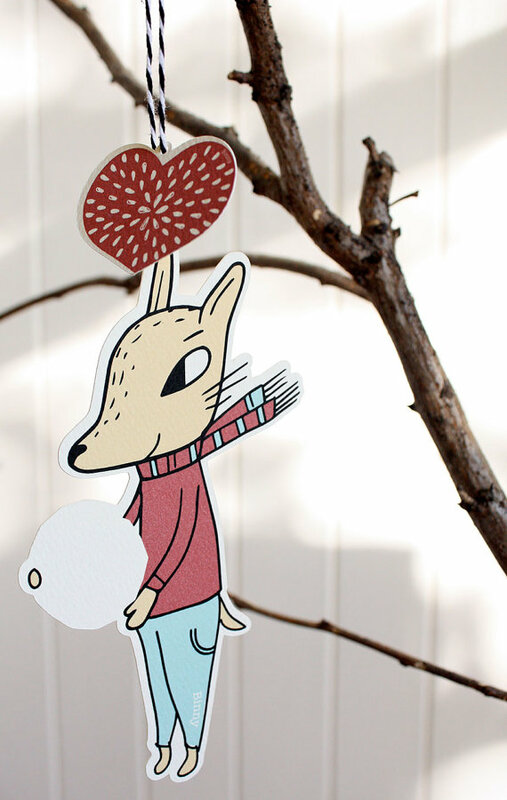 The talented Binny has showcased her work in the US, UK and Japan in the form of children’s clothing brands, children’s toys, interior design, books, album covers and greeting cards. If you like Binny’s unique designs, you may want to check out her cute Sneaky Sam app and wallpaper collection. 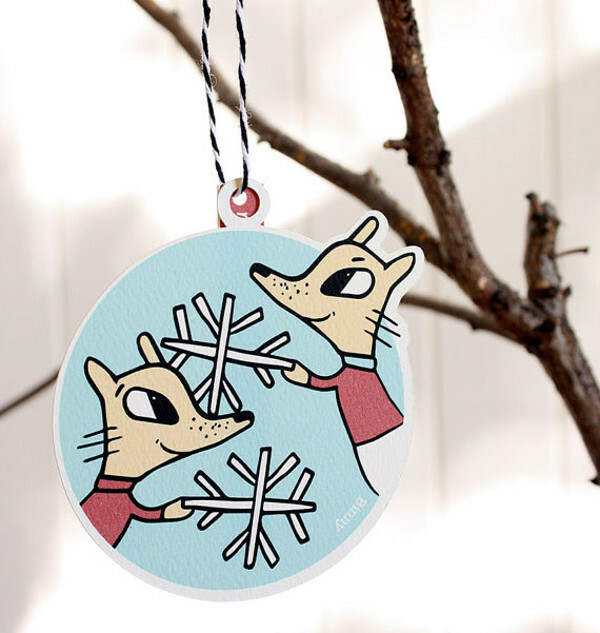 And to see Binny’s Nordic Noel range, head to her Etsy store.